Goderich council has voted to accept a retail cannabis outlet in the town. 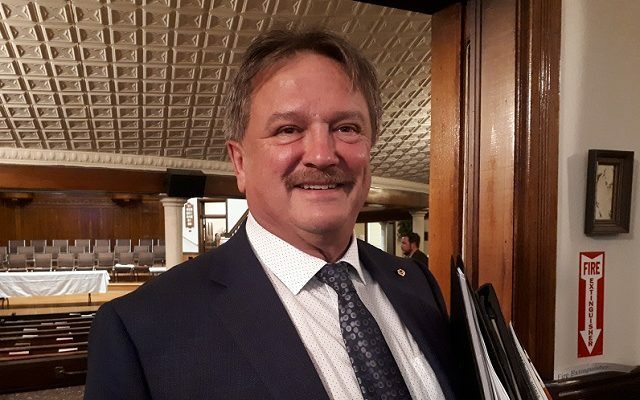 Mayor John Grace says he’s not surprised, given the fact that cannabis is now legal and Goderich is a progressive town he says it’s inevitable that at some point in the future Goderich will have a cannabis store. Grace said the province is awarding a total of 25 stores in the first round, so there’s no guarantee that Goderich will get one in the first, second or third round, but he adds this is a chance to at least get in the game and the town still has to option of opting out at a later date if it changes its mind. Grace said no one has submitted an application yet and points out the application would go to the province so when one is accepted, the town would likely be the last to know. “There’s no specifics on location, it’ll be treated just like any other retail outlet, it’ll abide by all the rules and regulations and planning and so on that any other retail operation would be challenged with,” he said.